Lithuania's public television apologizes over live show in which an actress made Nazi gestures. Lithuania's public television apologized on Wednesday for a live show in which a popular local actress made gestures to represent Nazi leader Adolf Hitler's moustache while raising her arm in a Nazi-style salute, The Associated Press reports. The program, “Guess the Melody”, was taken off the air following the incident. 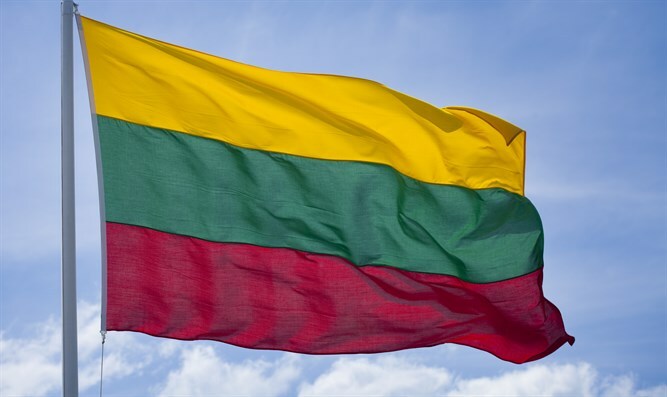 Virginija Buneviciute, a spokeswoman for Lithuanian National Radio and Television (LRT), told AP on Wednesday that the contract with the production company behind the popular show was immediately terminated. The incident occurred during Friday's episode and involved actress Asta Baukute, who jumped off her seat when recognizing a melody by a Lithuanian composer of Jewish heritage. She then made the gestures and yelled "Jew, Jew, Jew" in Lithuanian. Buneviciute told AP, "As a public broadcaster, we stick to the policy of non-censorship, yet I can hardly imagine a situation (in which) she would be invited to one of our programs now." Local media said Baukute later apologized and said she didn't want to hurt anyone. She was not immediately available for comments.